Learn how Seiya Vogt, senior director of customer acquisition at x.ai, uses Lucidchart to map out his B2B and B2C business funnels. With Lucidchart, Seiya is able to get information out of his head and into a flowchart, helping him to keep track of key information and better understand both the B2C and B2B conversion funnels. By providing the entire company with a general overview diagram of the funnel, Seiya is able to improve understanding, gain buy-in, and solicit feedback from other teams. He is also able to quickly onboard new employees. Seiya builds granular views of specific aspects of the funnel and collaborates with the team responsible for those specific activities, helping teams stay in sync and improve processes. Seiya diagrams the current and future state of the funnel to gain approval on proposed improvements. 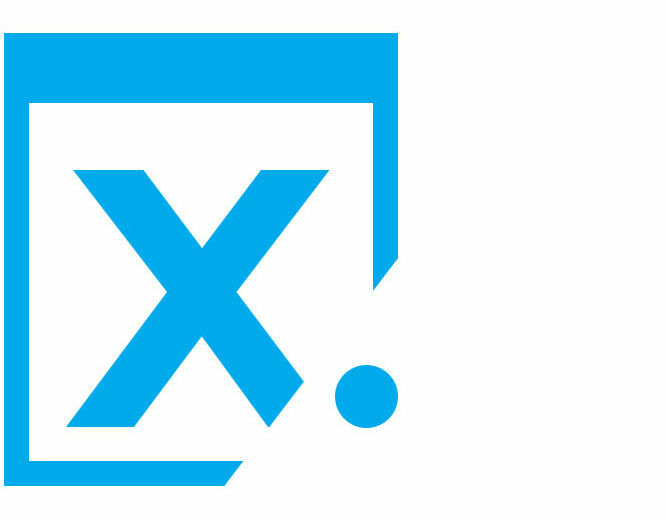 x.ai is a technology company working to democratize the personal assistant. 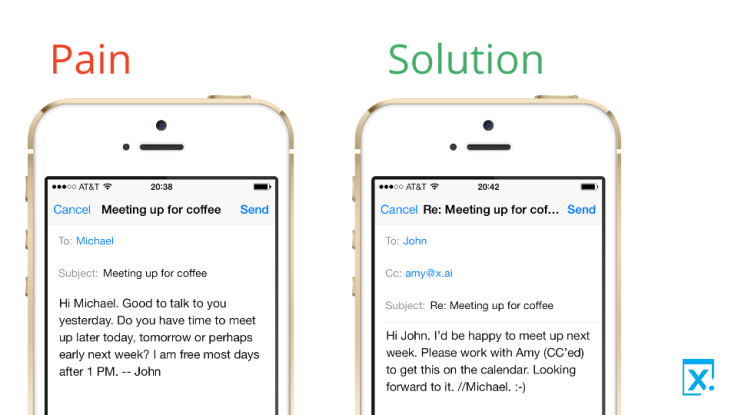 They have developed Amy and Andrew Ingram, AI assistants who can schedule all of your meetings for you. Not a conversation you would normally think twice about. You’d probably assume Amy is the helpful executive assistant whom you’ll be corresponding with. Think again—Amy is actually an artificial intelligence personal assistant created by x.ai to schedule meetings for you. Amy (and her twin brother Andrew) deal with the hassle of meetings so you don’t have to. Individuals and teams alike can relate and are seeking out their own Amys and Andrews, and it’s Seiya Vogt’s job is to keep track of this customer journey. As senior director of customer acquisition at x.ai, he oversees all aspects of the business funnel, tracking page traffic and the path to conversion. After using Lucidchart at his previous job at Bit.ly, Seiya believed Lucidchart might be his answer. He quickly found that this platform was exactly what he needed to map out each and every step of the funnel. Creating flowcharts of the customer journey allows him to better understand how to target people in a more personalized fashion and provide them with the most relevant information. The diagram details every touchpoint customers go through after they submit their email addresses, including the triggers that move them along the funnel. These diagrams are crucial in keeping the entire organization informed on the business funnel and identifying ways it can be improved. Seiya has a main Lucidchart diagram serving as a simplified overview of the entire funnel—this diagram is distributed to the organization at large, as it’s key that all teams have at least a basic understanding of how customers and leads are treated. Not everyone needs to know all the nitty-gritty details, so this diagram serves as a big picture that any employee could easily consume. Seiya can export his diagram to a PDF to send out via email or throw it in a Google Doc so it is easy to find and share. After creating his draft of the marketing automation sequence, he uses Lucidchart’s collaborating feature to share his diagram with his colleague in marketing ops who reviews it and fills in any blanks. Both can be on the same document editing in real time until they come to a consensus. Seiya describes the value he has found in creating detailed versions of the funnel for the x.ai sales team. “It has been invaluable with sales. You have to be in complete sync with sales teams. I work with sales ops and sales leaders to show them what happens to the leads that come in.” Using Lucidchart’s Google integration, Seiya can easily insert a detailed diagram into a Google doc the sales team is already using. It provides a zoomed-in view of the aspects of the funnel sales needs to know. Providing this extra documentation allows Seiya and the sales team to improve processes, such as lead scoring. Seiya also uses his diagrams for new employee onboarding. First, he shows new hires a detailed version so they get a taste for the specifics of the funnel—doing so is especially crucial for sales reps who need to understand what goes on behind the scenes. He then walks them through the simplified version so they can get up to speed with the big picture. These diagrams also help Seiya in his consistent efforts to optimize the funnel. Seiya constantly iterates on them as he seeks to improve the customer journey, and Lucidchart helps Seiya clearly communicate the changes he comes up with. 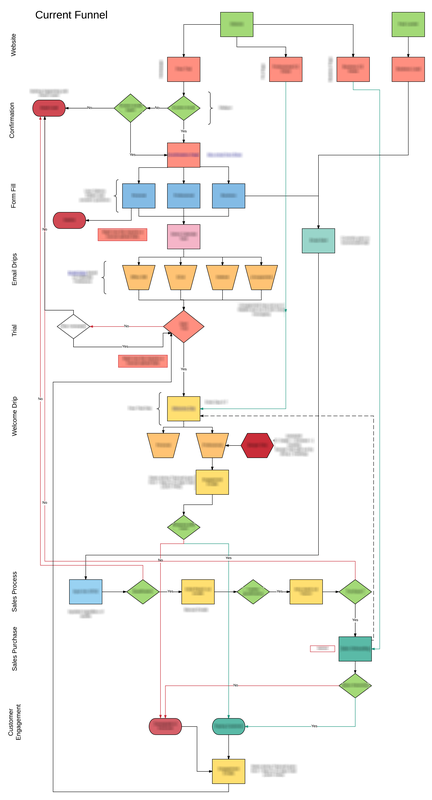 He can map the current funnel, highlight the existing issues within it, and then create a diagram displaying the future state based on his proposed changes. “It’s pretty powerful to show the new and current side by side,” Seiya says. “I can easily communicate the benefits of the changes and the priorities in making them. It would be a lot harder to communicate if I didn’t have this tool—it’s a lot clearer when you can see it like that.” Seiya is able to provide these diagrams in the level of detail necessary for his audience, and the visuals help him gain the approval he needs to implement change. Seiya says Lucidchart has saved him hours of time. He loves how it isn’t an overcomplicated platform but rather is extremely easy to start using. Rather than spending hours trying to map out funnels with Google Docs and Slides, he can spend more time improving them with Lucidchart. We’re certainly glad he did. Map out your marketing funnels. Try Lucidchart now!